Burrs occur when sheet metal is punched, plasma cut, laser cut, torch cut, etc. With the development of our deburring wheels and deburring rollers FAPI-FLEX, we have successfully addressed the challenge faced in operations to deburr or round the “sharp” edges on workpieces. With the use of these highly versatile tools, both with portable machines and automatic machines, sheet metal can be rounded or deburred optimally. Our engineers and application technicians are available for you at any time by phone or email. Here you will find information about the new fill designs of our deburring rollers FAPI-FLEX! The use of our specially developed deburring wheels and deburring rollers FAPI-FLEX has led to an extreme increase in service life. 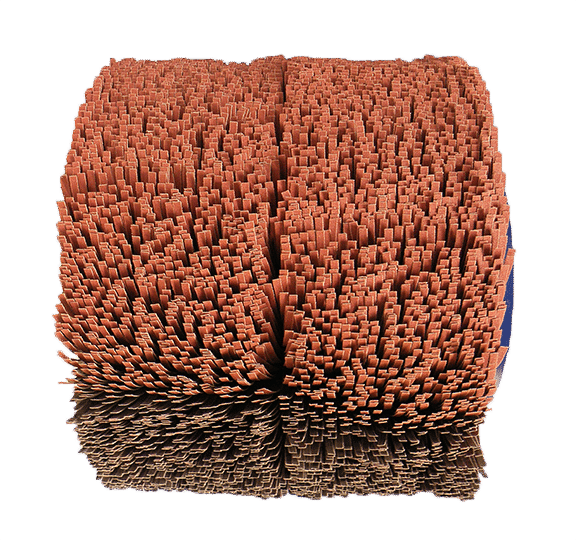 In practical use it has been proven that, our deburring wheels and deburring rollers have twice or three times the service life compared with conventional wheels and rollers. 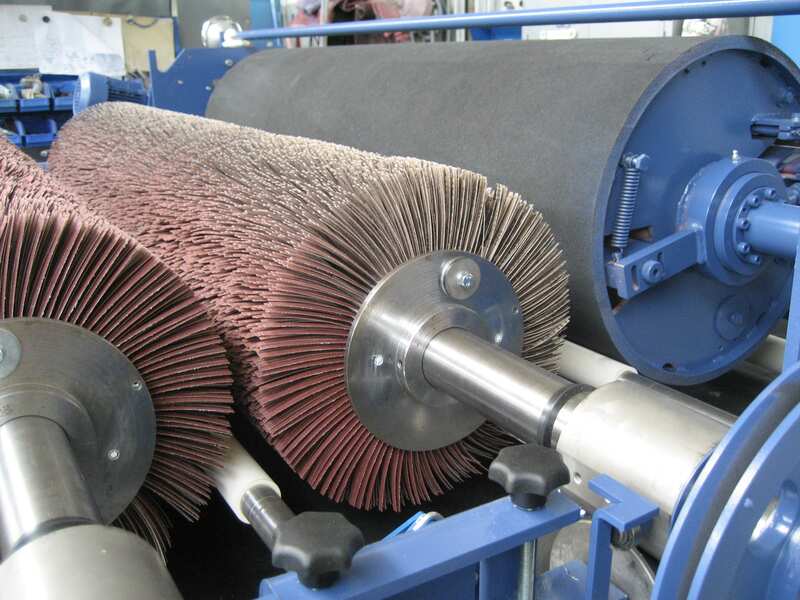 The grinding grain sides of the slitted abrasive cloth flaps are arranged axially on the roller. 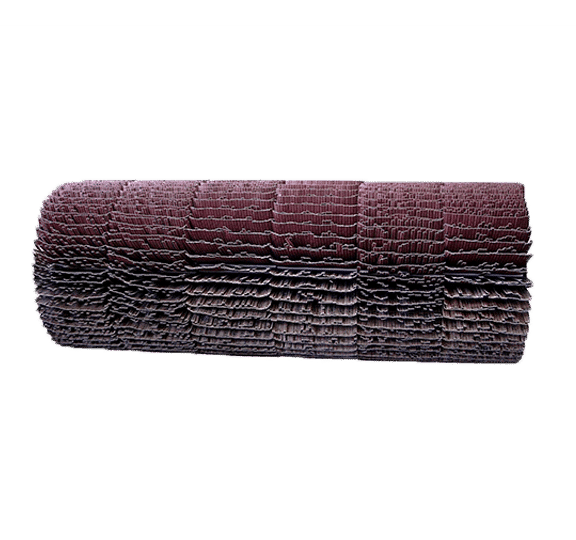 The knocking against one another of the grinding grain sides and the resulting premature destruction of the grinding facing, which occurs when the abrasive cloth flaps are arranged radially, is avoided. The easy assembly or disassembly of the machines allows extremely short set-up times. 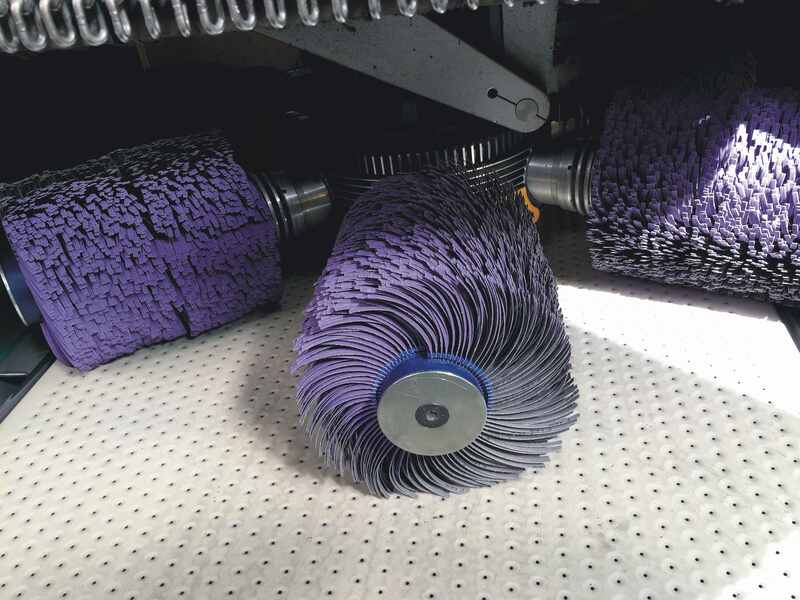 An extremely high abrasive cloth rate on the deburring wheels and deburring rollers FAPI-FLEX results in a significant improvement in service life. It is possible to manufacture deburring rollers in various densities, facing lengths and abrasive cloth types. The deburring wheels and deburring rollers FAPI-FLEX are used with portable machines as well as with carousel grinding machines and two or multi-roll roller grinding machines. 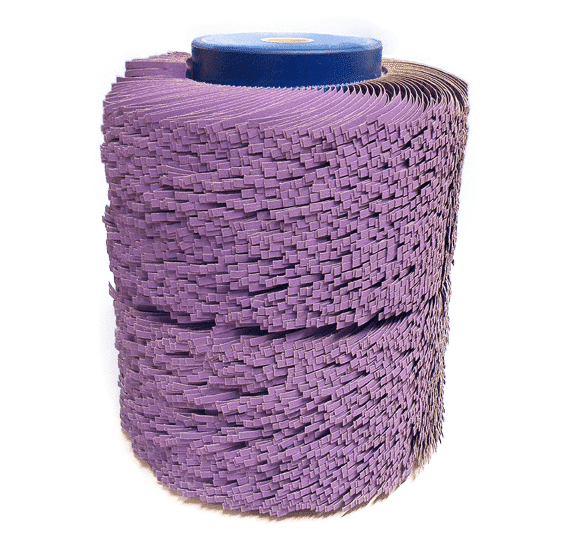 As a standard, the deburring wheels and deburring rollers FAPI-FLEX are provided with abrasive cloth flaps which are continuously slotted. As special design, the possibility exists to produce the abrasive cloth flaps with disconnected slits – the so called bridge slot. Thus results in achieving a better surface on small workpieces while using the deburring wheels and deburring rollers. 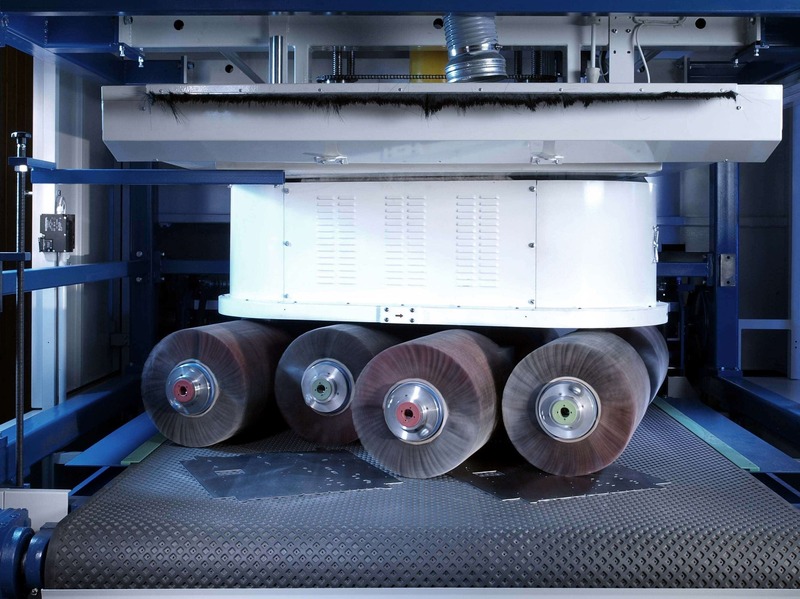 The cost-benefit-relationship of the deburring wheels and rollers FAPI-FLEX is optimally laid-out for our customers.